Welcome to East Haddam Dental! In addition to general dentistry examinations and cleanings, our team at East Haddam Dental Associates offers a wide array of cosmetic and restorative dentistry solutions. From smile makeover treatments such as porcelain veneers, tooth whitening, and cosmetic bonding to smile restoration treatments such as dental crowns and even dentures, our patients have the full range of dentistry treatments at their disposal. We offer general dental care for the whole family and emphasize preventive care for optimal oral health..
Our cosmetic procedures can help improve your overall appearance.. Specialized restorative dentistry treatments can rejuvenate and renew your smile. .
We offer a variety of periodontal procedures to help you achieve optimal oral health. .
Porcelain veneers are a long-term solution to cosmetic dental concerns such as gaps, stains, or chipped teeth..
We serve patients of all ages and offer a variety of dental procedures and nonsurgical treatments for children..
Our reputation in the community is based in part on the time that we take with our patients. While educating families on the ideal treatment plan for each individual, we listen to their concerns and together devise a plan that best suits their needs. First and foremost, our goal is for the patient to be comfortable with all decisions discussed regarding their oral health while in our care. We have built our practice on trust and confidence, which we believe is the foundation to superior dental care. We look forward to meeting you and helping you achieve your best smile yet. Drs. Steven Pear and Josh Goldman are dedicated to the comfort and satisfaction of each of our patients. 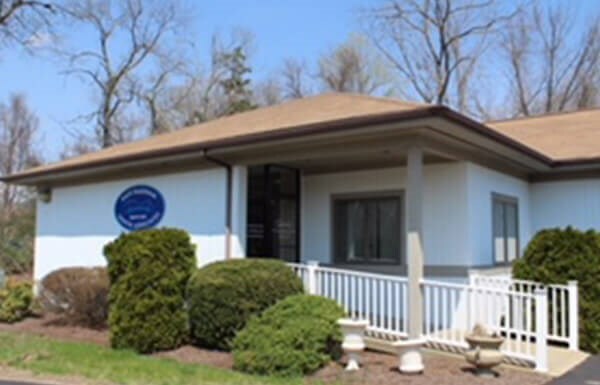 Our skilled team of dentists bring years of expertise and prestigious training to East Haddam Dental Associates, and utilize modern advancements for outstanding dental care. They take great pride in providing patient-focused dental care and helping families achieve a gorgeous smile. Dr. Pear graduated from the University of Connecticut School of Dental Medicine. Dr. Goldman graduated from Georgetown University School of Dentistry, and Dr. Granados received his doctorate degree at Boston University. "I have been a patient of East Haddam Dental for very many years. I have at all times been treated courteously and professionally. Dr. Stofko and now Dr. Goldman have tended to my teeth with a maximum of skill and a minimum of pain. Dr. Pear has also pitched in in their absence when I had an emergency that could not wait. I have never had an issue with the front desk staff. When I have a problem with a tooth they are always sympathetic and do their best to get me an early appointment to get it fixed. As for wait time, my experience is that I'm usually seated within a few minutes of my appointment. On those rare occasions where I did have to wait it was only for 15 minutes or so. I always figured the Doctor was backed up because someone needed extra help and I was just happy not to be that person. Needless to say I am pleased with the quality of care I've received and intend to stay with East Haddam Dental for the foreseeable future." "Dr. Steven Pear is by far the best, most experienced, wonderful dentist I have ever had. I am 39 years old and from East Haddam. Dr. Pear was my dentist as a child. I still have fillings he did from when I was a kid. Meanwhile, when I was not a resident in East Haddam, I used other dentists and that work has been shoddy. In fact, it has cracked or fallen out. Dr. Pear's work stands the test of time. My children now see him, and they love him too. Not enough can be said to praise this office. From the front staff to dental hygienists to other dentists, all A++++"
"Did this provider answer all of your questions? Yes Was this provider's staff friendly? Yes, they went above and beyond Did you leave the office feeling satisfied with your visit? Completely! Was this provider's office easy to locate? Absolutely! It couldn't have been easier!" "Did this provider have an entertaining selection of waiting room magazines? Absolutely! They were very entertaining! Would you recommend this provider to others? I Already Have Did this provider wear an obnoxious cologne? No, they didn't wear any cologne Is this provider easy to reach in an emergency? Absolutely! I can always count on them Does this provider maintain a professional appearance? Absolutely! You can tell that he/she really makes an effort to look professional"
View our photo gallery of countless before-and-after photos. View our extensive procedure library to learn about our techniques. Read through inspiring testimonials and personal stories. Meet our fabulous East Haddam Dental Associates team.